Most exterior paint will cost you approximately $25 a gallon. To paint your trim, shutters, or front door it on your house, it should not take you more than $100, unless you have a very big house. 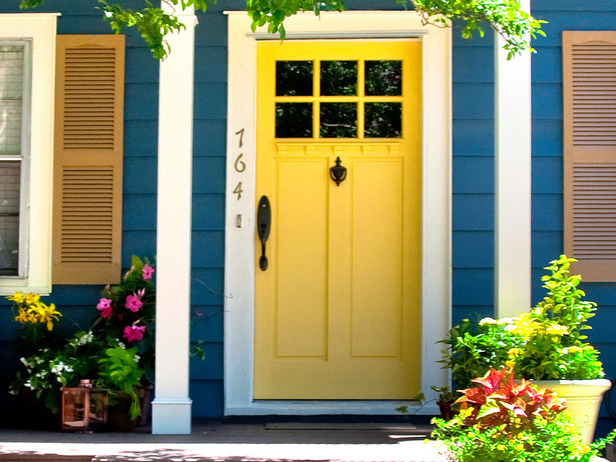 Painting your home can definitely add some brightness and revive your house while adding curb appeal. Pick a bold color that makes your house stick out, but just make sure that you match it to the rest of the colors on your house. This home improvement project may take several hours depending on how much you choose to paint, so plan for at least a day of painting.